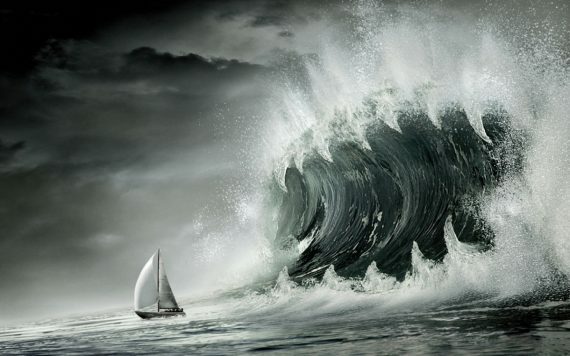 Jonah 1:4 – Does God Send Storms? You are here: Home / One Verse / Jonah 1:4 – Does God Send Storms? In Jonah 1:4, God sends a storm upon Jonah and the ship that carries him to Tarshish. Is this how God normally behaves? It’s a practical question that all of us face in life from time to time. My wife and I are experiencing some difficulties in life right now. Quite often, it feels like we are in a storm, being buffeted by wind and waves. We sometimes have trouble keeping our heads above water. My wife mentioned our struggles to someone this week, and they sent an email to her saying that the reason we are facing this storm is because we are sinning. The person who wrote the email said that God sent these troubles upon us because our views about church and about the LGBT community were sinful. We have been deceived by Satan, the email said, and so this is why God is punishing us with the storms of life. Is that really how God works? Does God send storms into our lives to punish us? If you sin, will God send disasters into your life to punish you? Does God send sickness, disease, famines, floods, earthquakes, or the loss of jobs, income, health, or even the death of a family member? Is this what God does? Well, lots of people think so, and it is because of verses in the Bible like Jonah 1:4 that they think so. This is the verse we are looking at today, and by doing so we will hope to answer some of these questions. But the Lord sent a great wind on the sea, and there was a mighty tempest on the sea, so that the ship was about to be broken up. 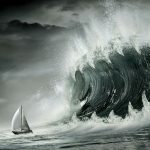 If God does not punish sin with storms of destruction, then what is going on in Jonah 1;4? Really great podcast, I’m on the same page as you wrestling with this text and how it matches up with Jesus (Jesus really complicates things and makes us rethink old tribal god logic). Always looking forward to your next podcast, I’m sorry your family is having hard times, I’ll be keeping you in my thoughts. (BTW I’m really sick of cliche unhelpful answers to hard times, justifying it Job-style like anyone knows). God doesn’t “send” storms!! EVERYTHING evil comes from the devil. Let me explain. If one is sinning, because God is light and cannot tolerate darkness, he may withdraw a bit. Now at this withdrawal, we may begin to experience storms incited by the devil which God’s presence in our lives shielded us from. If the last thing God wants is for his children to go to Hell, why would he make their stay on Earth hellish?